Nov 23-24, 2019 Intercontinental Barclay- Manhattan, NYC, NY. During the event we had 7 renowned doctors in the aesthetics and hair loss field, as panelists discussing different case studies, procedures and treatments. In this video, Dr. Shino Bay Aguilera case of studies and his colleagues approach. The engagement provided members and participants the unique opportunity to collaborate with these professionals, who showcased their skills through hands-on sessions performed on stage. Here is the distinguished Dr. TJ Tsay! vendors, “celebrity” physicians, renowned KOLs, and many others! Join us on Saturday and Sunday, November 23-24, 2019 in glamorous New York City to celebrate our 22st year in business and 22 years as the worldwide leader in providing Aesthetic and Medical Procedure training. The EAM™ begins at 9:00am and finishes at 5:30pm (5:30pm-6:30pm Cocktail) on Saturday Nov 23, 2019. And from 9:00am to 5:30pm on Sunday Nov 24, 2019. Beginning on Saturday Nov 23, the Empire Aesthetic weekend kicks off for a full weekend of intensive training in Aesthetics and Anti Aging Medicine. On Saturday, Nov 23 and Sunday Nov 24, Join the entire Empire faculty along with our partners, special guests, “celebrity” physician speakers, and notable KOLs for an entire afternoon and evening of education, dining, entertainment, and networking. This year will be even better than our last event! In addition to notable KOLs and “celebrity” physician instructors, this year promises to deliver more training, more networking, and more information that will help you transform your Aesthetic practice into the thriving profit center you want. Learn about the newest technologies and treatment modalities in Aesthetics and see how these “celebrity” physicians treat their patients. Watch live demonstrations on a variety of modalities and participate in Q and A sessions. Empire Medical Training continues to partner with the most respected, renowned “celebrity” physicians in the nation to help our members gain valuable insight into creating the most dynamic, successful Aesthetic Practice. 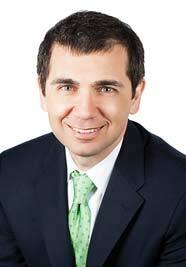 Empire Medical Training’s Chairman and Host: Stephen Cosentino, DO, President and Founder of Empire Medical Training. A variety of topics in Aesthetics and Regenerative Medicine from essential pearls in Aesthetics that will help you ensure your patients are getting more than what they expect, to the newest procedures that you can begin offering in your practice. Our team will discuss what is becoming mainstream in Aesthetics and how you can begin offering these newest techniques and modalities to become unique in your community. Following the medical lectures, there will be additional topics about the financial impact that can be achieved in Aesthetics and how to get there. What does 22 years in business mean to the CEO of Empire Medical Training, Dr. Stephen Cosentino? Reserve your seat in advance, space is limited! Empire Medical Training is celebrating their 22nd year during which our expert panel of physicians will talk about Aesthetics and the newest treatment modalities that you can integrate in your practice. Find out what you can integrate in your practice that will create substantial growth, and learn how to do it. Learn how to be successful with many of the current regimens you are doing now and find out what best new treatments you can incorporate as well. A world renowned, multi-award winning Cosmetic Dermatologist, Dermatologic Surgeon, Master Injector and celebrity Physician from South Florida. 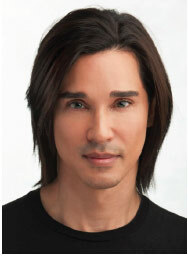 Dr. Aguilera remains a favorite speaker and internationally recognized expert in Aesthetics. Dr. Aguilera is a frequent speaker for Allergan, Galderma, Cynosure, and he is the highest level injector worldwide of Botox and Dermal Fillers. This is a “don’t miss” lecture on how he approaches the Aesthetic patient giving them the results they are looking for. Top Plastic Surgeon, triple board certified facial plastic surgeon in New Jersey, featured on the “Real Housewives of New Jersey”, “Fox News” and ABC’s “The Doctors” Ramtin Kassir, MD, FACS, is a plastic and reconstructive surgeon in private practice since 1997. 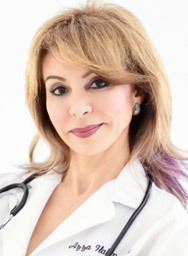 Dr. Kassir graduated from the University of Texas at Austin, going on to the University of Texas Medical Branch at Galveston. 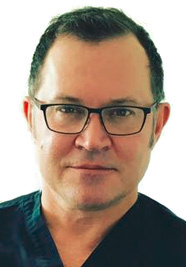 His medical studies also include completing his Post-Doctoral training with a Residency in Otolaryngology, a Fellowship in Facial Plastic & Reconstructive Surgery from the University of South Florida and many more. 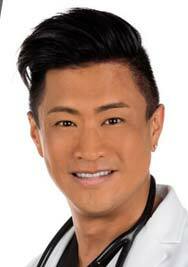 Renowned Plastic Surgeon and Author, named “Top Plastic Surgeon West”. Board Certified Plastic Surgeon, Dr. Gregory Buford specializes in non-invasive and cosmetic plastic surgery procedures that empower you to look and feel your very best. 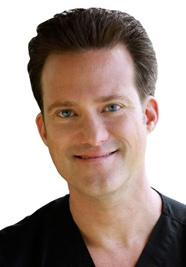 A nationally recognized expert and trainer in the safe and effective use of injectables, Dr. Buford is renowned for his expertise in breast enhancements, including Denver breast augmentation and breast lift, abdominoplasty (Tummy Tuck), liposuction, facial and hand rejuvenation, along with his revolutionary Before Baby Body program for moms looking to regain their pre-pregnancy bodies and confidence. Developing personalized cosmetic plastic surgery and non-invasive services such as BOTOX® and JUVÉDERM®, including the new VOLUMA XC, Dr. Buford matches your specific needs and desires to the service best suited to deliver results. Dr. Buford has a proven reputation and the qualifications to match. 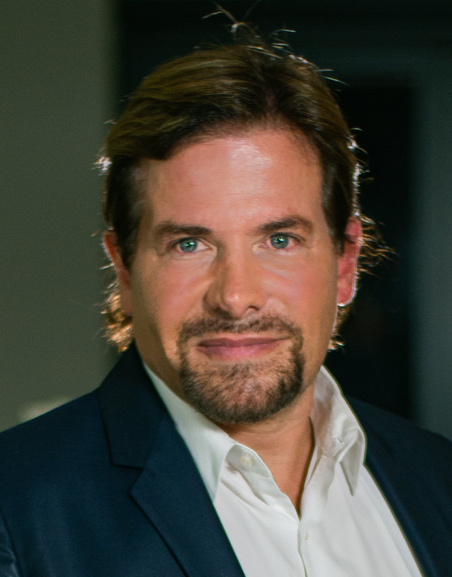 Stephen Cosentino, DO, Founder, President, and Medical Director for Empire Medical Training and renowned Educator to Physicians and health care practitioners worldwide. Dr. Cosentino launched Empire Medical Training in 1998 to focus on the Aesthetics Medicine segment of healthcare, with a strong vision and expectation to expand into other healthcare delivery segments. Today, through his clinical expertise and educational leadership, Empire Medical Training is recognized as the global leader in the continuing medical and aesthetic education and procedural training seminar industry for physicians and healthcare professionals. Dr. Cosentino is Board Certified in Family Medicine, and has more than 20 years of clinical experience in the aesthetics industry. He serves as Empire Medical Training’s president, and medical director. Dr. Cosentino’s worldwide reputation as a celebrity-status physician has earned him a prominent role as the go-to consultant and mentor for aesthetic practices and expansions throughout the US, Canada, Puerto Rico, and South America. Under his daily, hands-on clinical oversight, along with his expert physician faculty educators, Empire Medical Training provides training to private practitioners and also works directly with hospital systems throughout the United States, training their member physicians in procedures ranging from Aesthetics and Anti Aging to Pain Management and Surgery, and providing continuing medical education to help maintain licensure and procedure training with training programs. Dr. Cosentino is considered the foremost authority for physicians to turn to when seeking updated and new medical expertise. His faculty of celebrity-status physicians, consultants, educators, and entrepreneurs continue to research new technologies and new procedures for Aesthetics Medicine, Dermatology, Anti Aging and Regenerative Medicine, hair restoration, facial and body rejuvenation, weight loss, and pain management. The Empire curriculum spans more than 35 courses, and includes proprietary, state of the art procedures and techniques. Dr. Cosentino has a well-demonstrated lifelong commitment serving the medical community, and the professionals that lead that charge. Before founding Empire Medical Training, Dr. Cosentino maintained and operated numerous Pain Management Clinics and Medical Spas throughout South Florida. Dr. Cosentino received his Doctor of Osteopathic Medicine (DO) degree from Nova Southeastern University in Florida. He was an intern at Mt. Sinai in New York City where he also completed his Family Practice Residency. He is Board Certified in Family Medicine. fter a highly successful career in Emergency Medicine, Dr. Tsay enrolled in Empire Medical Training classes in July 2015 and opened his own practice in November 2015. He is not just an incredible Empire student success story, as Empire’s Chief Medical Officer he is also one of the driving forces of new training program innovations and topics for several Empire accredited CME education and training workshops. Moreover, Dr. Tsay is an incredible physician educator and inspiration for his physician colleagues who are also looking to make a career change or expand their current Aesthetics practices. Cheryl Whitman remains a significant pioneering icon in the Aesthetics industry, operating for more than three decades. She is the founder & CEO of beautiful forever Aesthetic Business Consulting: a business created in 1995 designed to help physician clients devise strategies in creating their dream business. Cheryl’s diverse background has enabled her to provide the highest levels of attention to her clients, improving business practices across the United States and internationally. Cheryl Whitman’s portfolio has extended to her achievements as a published author, as well as her strategic visions in creating right focused solutions and building strategic partnerships. Ultimately, Cheryl presents an innovative style of thinking that has made her a notable dignitary in the cosmetic medical businesses.